This short film originates from one of Magritte’s paintingnamed The Spontaneous Generation. It was inspired by Aldous Huxley’s novel Brave New World, which composed the Dystopia Trilogy along with Nineteen Eighty-Four and Мы, exploringthe different development progresses of human society. However, when it comesto China, things corresponded with such situation during the 30 or 40 years since I born. 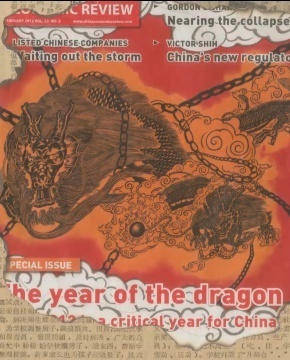 At the beginning of Dragon Year 2 years ago, I was invited by an economic magazine CHINA Economic REVIEW to design the cover for January issue, requiring making prediction of this new year in China from the view of an artist. Thus,there came the images of 2 dragons in this film. But it is till this year hasthe film been completed so that it started from forecast, and was a review of the past time as well. It is related with my future life and also connects with thepast in which a moment turned to be eternal and this is the times of our lives,the past thoughts and experiences are waiting to be history, but I’m the person who goes through these things initiatively! Magritte’s work is named The Spontaneous Generation, which means all the creatures develop from nonliving objects… The body carries the soul. But in the rapid changing world today, where do our consciousness, experiences, and even souls come from?